Is it really April already? After everyone complaining what a long month January was, I am actually amazed we are already one quarter of the way through the year. In the interest of full disclousre, I had big plans for 2019, especially when it came to updating this website and I haven’t done anywhere near what I had intended. Instead of making excuses, or back dating a load of posts, or putting it off any longer than I already have – I decided I would just bite the bullet and jump in. So I thought I would try something new. 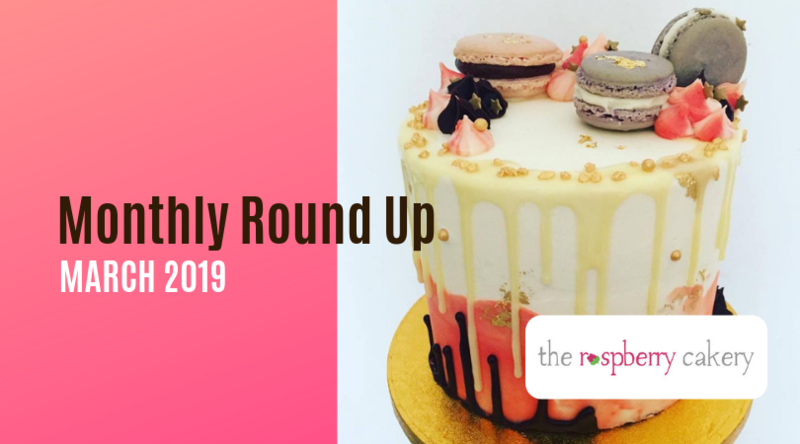 Every month I will post a quick round up of what I have been up to at the Cakery. March was our busiest month of the year so far and I got to make some beautiful cakes. 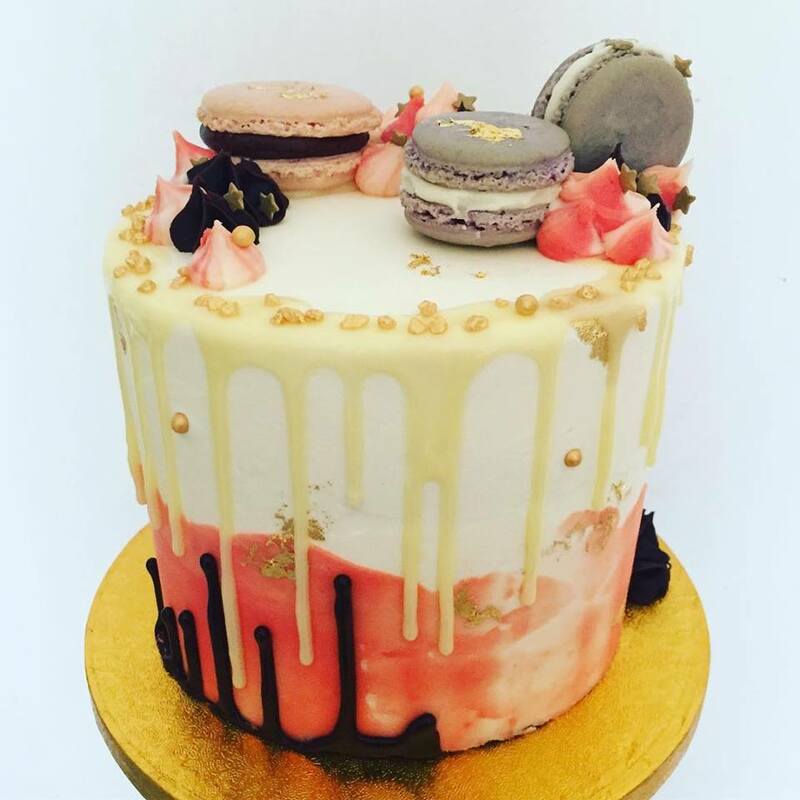 This gorgeous Coral and Gold drip layer cake was made for Savanah who used to work with us, to celebrate a special birthday. Inside was 6 layers of Vanilla rainbow cake, filled with Vanilla buttercream. I was given complete design freedom and got to try out a new technique – the upside down drip. This cake was Eton Mess inside, layers of Vanilla sponge with Strawberry jam, Vanilla buttercream and mini meringue pieces. 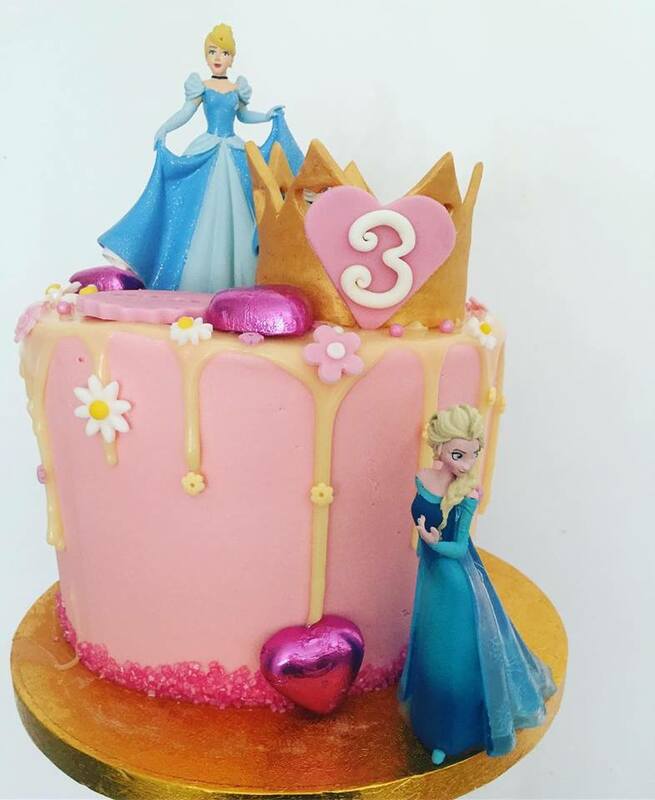 Got to love a pink, sparkly drip cake fit for a princess! 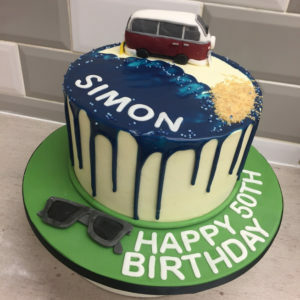 And I love the blue drip on this cake. The sand was made by crushing up Digestive biscuits – little design tip for you! 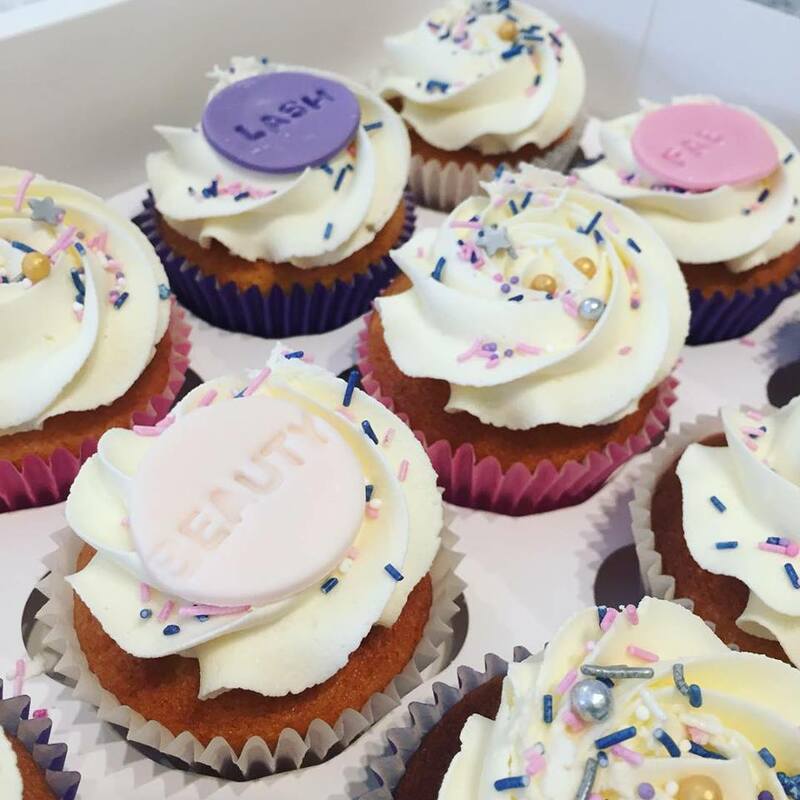 I was delighted to be asked to make some bespoke corporate cupcakes for the launch of a friend’s new business venture – Fab Lash & Beauty in Waunarlwydd. I’ve already been in for treatment and can definitely recommend calling in. The theme for our March Cupcake Decorating Workshop was ‘Spring Flowers & Bows’ – check out this box created by one of the students on the workshop. 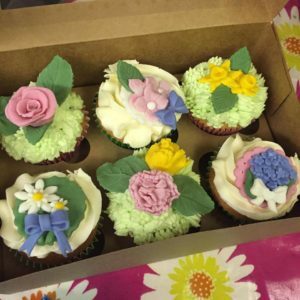 We used a range of cutters to make the flowers, the roses were made by hand, and we used 2 different piping nozzles to create different buttercream textures. Our next cupcake decorating class takes placeon 17th April – check out the School of Cake page for more details. Mother’s Day passed by in a blur of cake mix and buttercream! 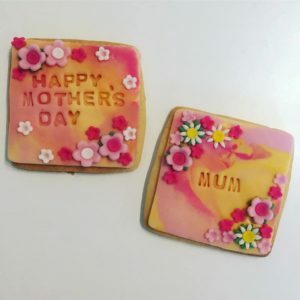 I really enjoyed creating these biscuits and am planning to produce a range of ready to order designs soon. Watch this space! Finally, I want to give a massive shout out to Emily who has created Girl Boss Club. A Swansea-based group of Girl Bosses who get together every month to support each other, get inspired & feel empowered. Every month we meet at Brewstone in Uplands and have 3 different speakers plus a chance to network and meet fellow bosses. If you run a business or are thinking of starting one I would recommend coming along, it’s always inspiring and connections are already being made. The next event takes place on April 24th.